St. Matthew’s Altar Guild is currently composed of a group of 12 parishioners (and sometimes drafted family members) who love the ritual and order of the Episcopal church. As a service ministry the guild is responsible for the mindful preparations for all services. It is a high privilege to serve in God’s sanctuary and at His altar, so it is with sincere devotion of mind and body Altar Guild members strive to make their service an offering to the Lord. As we set the altar for each service and altar adornments for Epiphany, Lent, Palm Sunday, Good Friday, Easter, Pentecost, All Saints, Thanksgiving, the four Sundays of Advent, and Christmas, we are actively reminded of the reasons and the seasons of our church calendar. The guild meets occasionally for training and special cleaning. Altar Flowers and Gifts: When considering a contribution in memory of someone or in thanksgiving, please remember the memorial fund and the altar flower fund. Altar flowers presently cost $67.50 for a Sunday. However, a check in any amount may be made out to the Altar Guild and sent to the office with the name of the honored individual(s) or a special occasion and the date. Memorials are used to purchase linens and hardware for our altars. Church members interested in joining this active group are encouraged to talk with Cindy Holt cindyhrandy@yahoo.com and Father Mark about training and involvement. The ministry of Acolyte is very old, going back to at least the third century CE. These early acolytes had functions very similar to those of the modern day - they were to assist the bishop and clergy during liturgical services and help lead and define the tone of worship for the community. Like today, these early acolytes gave strong witness to their Christian faith and were dedicated to their worship community. A ministry as an acolyte is a testimony of your love for God and your desire to serve him in worship! The ministry of Eucharistic Visitation brings the presence of Christ to the homebound, to those in the hospital, or to those for any number of reasons can not attend a regularly scheduled service. The visitors will set up a time to visit and when they arrive, (the Eucharistic Visitors always travel in pairs), the visitors will perform a short order of worship that includes: a Gospel reading; prayers, including the Lord’s Prayer; confession; the administration of Communion; and a prayer of thanksgiving. 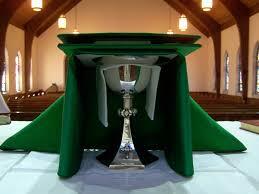 To schedule a Eucharistic visit, please contact us by phone 806-665-0701. If you would be interested in participating in this wonderful ministry, please contact the church office! 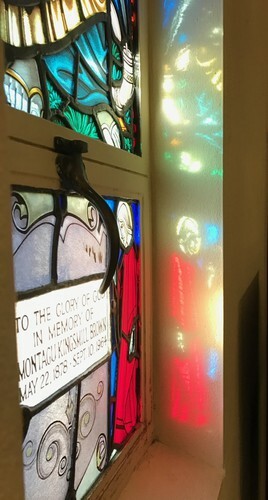 Traditionally at St. Matthew's Episcopal Church, lay reader/s read the lectionary appointed old testament and new testament readings to the congregation and lead the appointed psalm if it is not chanted. However, in addition to these duties, a lay reader may lead the Daily Offices of the church. If needed, a lay reader may also lead the liturgy for the Holy Eucharist through the prayers of the people, concluding with the Lord's Prayer and the grace, or with the exchange of the peace (BCP, p. 407). A lay reader may also lead the Burial Office (BCP, p. 490), as well as the Ash Wednesday liturgy (BCP, p. 269), the Palm liturgy (BCP, p. 272), and the Good Friday liturgy (BCP, p. 282). However, certain modifications in these services are required when led by a lay reader. There is no blessing of the people by a lay reader. A lay reader who leads the confession of sin at Morning or Evening Prayer is to use a modified form for the absolution that asks for God to "have mercy on us, forgive us all our sins," to "strengthen us in all goodness," and to "keep us in eternal life" (BCP, p. 80, emphasis added). A similar modification in the absolution is made by a lay reader who leads the penitential order at the beginning of the eucharist (BCP, p. 353). A lay reader who leads the Ash Wednesday service is to remain kneeling after the Litany of Penitence and substitute the prayer for forgiveness appointed at Morning Prayer. The Good Friday service concludes with the Lord's Prayer and a final prayer when the service is led by a lay reader. If you are interested in becoming a lay reader, training is available and you will find that it is a very rewarding lay ministry which will greatly enhance your spiritual journey. Please contact the church office and training will be scheduled! Ushers play an important role in welcoming our parishoners and our visitors into our sacred space of worhip on Sundays and during special services which may arise - baptisms, weddings, and memorial services. Ushers help orient our visitors and assist them if they ask for directions to restroom facilities or are in need of other necessities. 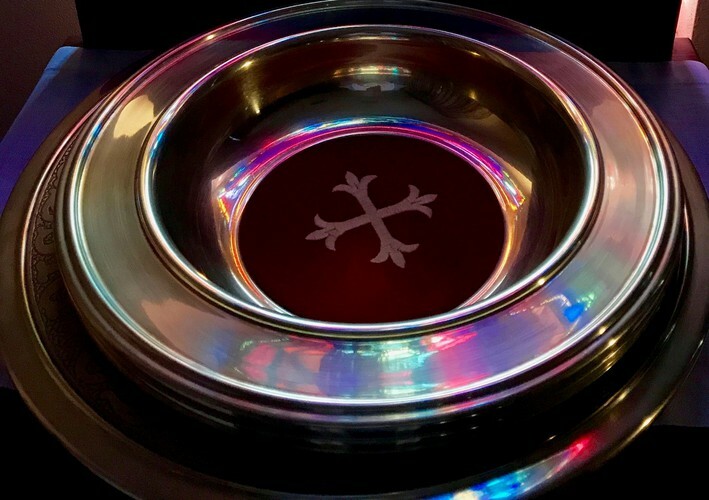 They receive the offering at our 10:30 AM service and at the end of the offertory anthem, proceed down the aisle and give the plates to the acolyte. After the offertory thanksgiving, the ushers return to their seats by way of the side aisles. Ushers are also responsible for realeasing the people from their pews in the nave for communion at the altar allowing all that wish to receive the sacraments to take their place at the Altar rail. When worship has ended, the ushers count the loose money, fill out the usher report, and place the report, all the money, checks and envelopes in the bank bag. They are responsible to drop the bank bag in the night depository at the bank. Their final task is to drop the bank bag key through the mail slot of the office door. The role of the Usher at St. Matthew's Episcopal Church is critical to our worship services and the ministry of our church. If you would be like to be a part of this wonderful minsitry please contact Fr. Mark or the church office at (806) 665-0701. St. Matthew's is grateful for the ministry of our ushers! 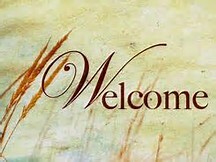 Greeters at St. Matthew's welcome all people in the Name of Christ. Greeters stand at the entrance and greet people with a smile as they enter. They identify those who are visiting, and offer hospitality by answering questions and help people to feel at home in our community of worship. Smiles are powerful and have been scientifically proven to have many benefits to those who offer them freely! Smiles are what greeters do! All of us at St. Matthew's give thanks to God for the smiles of our Greeters! Each smile is cherished and given freely to us, our guests, and God's glory!